President Muhammadu Buhari on Sunday arrived in Morocco, on a two-day working visit to the country. According to a statement on Saturday by presidential spokesman, Garba Shehu, the visit, which is at the invitation of His Royal Majesty, King Mohammed VI, will see the two leaders discuss socio-economic matters affecting their countries. It follows prior engagements in December 2016, during the official visit of His Majesty to Nigeria. In Rabat, discussions will focus on strengthening existing agreements on the fertilizer industry, education cooperation, the Nigeria-Morocco Gas Pipeline project and establishing a basic chemical platform to harness Nigeria’s vast natural gas resources and support Morocco’s diammonium phosphate industry. “It is noteworthy that following the signing of a collaboration agreement between Nigeria and Morocco in December 2016 to revive the abandoned Nigerian fertilizer blending plants, 14 plants have been revitalized so far under the Presidential Fertilizer Initiative (PFI); with a total capacity of 2.3 million MT of NPK fertilizers. “The President will be accompanied on the trip by Governor Dave Umahi of Ebonyi State, Governor Abubakar Badaru of Jigawa State and other senior government officials,” the statement read in part. 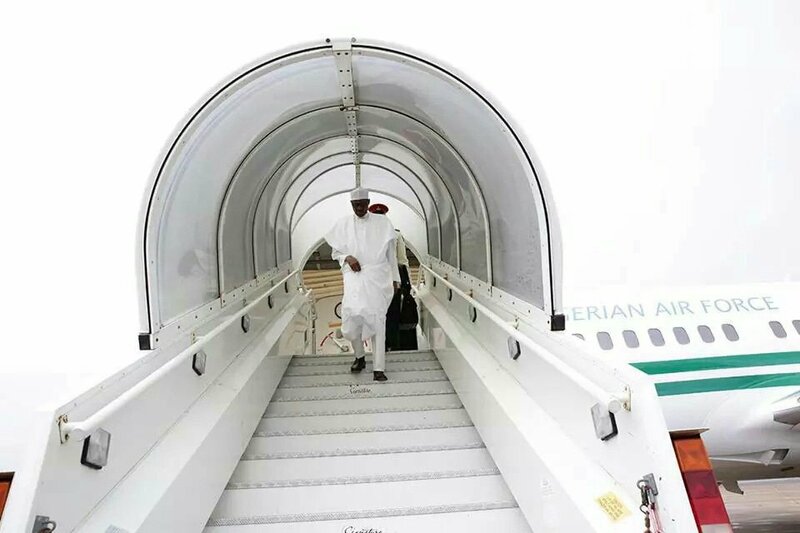 0 Response to "President Buhari Arrives Morocco For Two-day Working Visit"